Monika K. Bulaj, Polish photojournalist, reporter, non-fiction writer, documentary film maker, TED fellow, based in Italy, is exploring the borderlands of Monotheism, the nomadic tribes, the minorities, the migrants, the outcasts, the dispossessed – in Eastern Europe, Middle East, Caucasus, Central Asia, Africa, and Caribbean. She works as a freelance photographer and writer for La Repubblica, Corriere della Sera, GEO, National Geographic, Courrier International, RevueXXI. Born in 1966 in Warsaw, she has studied Polish Philology at the University of Warsaw, and also anthropology, philosophy, theology, dance and theater. She has three sons and speaks eight languages. She has worked as an actress and theatre director as well. Among her books: “Libya Felix” Mondadori; “Figli di Noè” Frassinelli (minorities and faiths in Azerbaijan); “Rebecca e la pioggia”, Frassinelli (the nomadic Dinka tribe in South Sudan); “Gerusalemme perduta” with Paolo Rumiz, Frasinelli 2005 (the Eastern Christians); “God’s People, a travel into another Europe”, Postcart/Frassinelli Italy and in Polish language “Boży ludzie”, Bosz Poland 2012 (20 years of researches about minorieties in East Europe and Israel). The last book “NUR. The hidden light of Afghanistan”, Electa Mondadori Italy 2013, was selected by TIME as one of the best photographic book of 2013. The books in preparation for 2016 : “Sacred Crossings” and “Afghan Diaries”. Her work about religions were presented in Rome under the auspices of the Polish governement, in Cairo in the samakhana of the mevlana dervishes – under the auspices of the Italian Government; in the Aragonese Castle of Otranto during the Festival of Jewish Culture Negba-toward the South; during the Meeting on Jesus in Conciliation Auditorium of Rome and in Assisi invited by the CEI (Italian Bishops’ Conference); in Jewish Museum in Bologna and Trieste, in Theologische Akademie Bayern in Munchen, at Milan Book City Fair, in San Malo during the festival Etonnants Voyageurs: she has displayed her works in more than 60 personal exhibitions in the world. She is a teacher of Photography and Stories/ The creative and nonfiction writing of the real, and performs in a “performing reportage” at the theatre (as screening storyteller) “Nur, Afghan Notes”, “Where Gods Cross Borders”, with video, photography, audio, video and stories; in Italian, Polish, French and English language. She is teacher of photography, street theater, and dance on stilts, for children in ghettos or at-risk communities. She travels across Europe with her lectures: hosted by universities, art festivals, global conferences and small villages. Monika collaborates for many radios as well, both in Poland and in Italy, and with TV, for Repubblica TV and for Rai TV Educational. She has realized a documentary movie: “Noah’s Sons” in Azerbaijan, and has screen-written documentaries, among which the movie “Romani Rat” 2002 by M. Orlandi, on the Holocaust of the Roms, with the contribution of the Shoah Visual History Foundation, where she had also a leading role and was a storyteller. She is actually working on the project “Africas. Mirrors of the Invisible”, between Haiti, Brazil, Cuba and Africa. She is continuing also to explore a borders of Monotheism – “Sacred Crossings” – 15 years of the work between Middle East (Syria, Iraq, Israel and Palestina), Turkey, Caucasus, Iran, Pakistan, Eastern Europe, Balkans, Russia, Maghreb. 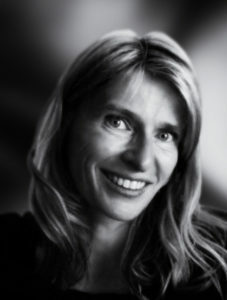 She has been awarded prizes and fellowships for her photography and literature works such as the 2005 Grant in Visual Arts from the European Association for Jewish Culture; the Bruce Chatwin 2009 special award for Photography “Absolute Eyes”; The Aftermath Project Grant Winner 2010; Ted Fellow 2011, the Lucchetta Grant 2011; Premio Tomizza 2012, and others.